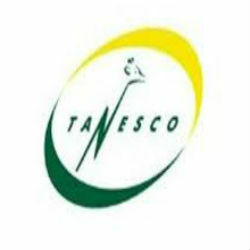 In a move that is expected to save the government TZS 1.6 trillion annually, all emergency power generation plants that were hired by the government will be closed by January 2015 with the focus shifting to the generation of electricity through locally sourced Tanzania natural gas under the national Tanzania power utility organization, TANESCO. According to the Permanent Secretary of the Ministry of Energy and Minerals, Eliakim Maswi, in a Tanzania Daily News report, power plants in Dodoma and Arusha have already closed and another is currently scheduled to close in November with the Kinyerezi One Electricity plant and Kinyerezi power pipeline projects replacing them. “We want to ensure that we have reliable and available power supply at the lowest cost so that the public can enjoy lower tariff and we call upon development partners to assist us so that we reach the target,” he said. Hon. Maswi went on to explain the project timeline, indicating that commissioning trials will begin in December, the Kinyerezi One electricity plant will officially be transferred to the government in March, and the natural gas pipeline project will be submitted in April.